Stamps and Stitches: Challenge Winner!! Woo Hoo! 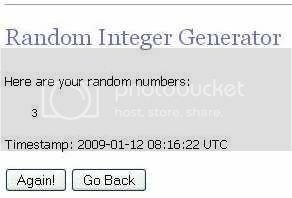 I love the random number generator!! :) I will PM ya! Gale, I meant to enter your challenge but time got away from me! Congratulations! I'm sorry I couldn't do the challenge this time. Congrats to Siobhan! I really wanted to do this because it was a great challenge. I plan to try and set aside time for the rest as well. It will definitely be easier now that we're over the holidays. Congrat, Siobhan. Your creation was great. Thanks for the challenge Gale. Congrats, Siobhan! I MUST make more of an effort to participate in these challenges. Life gets too busy, I must make more time for FUN! Enjoy your paper, what a great prize!